Liu, C. D., Cheng, C. P., Fang, J. S., Chen, L. C., Zhao, B., Kieff, E. and Peng, C. W. (2013). Modulation of Epstein-Barr virus nuclear antigen 2-dependent transcription by protein arginine methyltransferase 5. Biochem Biophys Res Commun 430(3): 1097-1102. Liu, C. D., Chen, Y. L., Min, Y. L., Zhao, B., Cheng, C. P., Kang, M. S., Chiu, S. J., Kieff, E. and Peng, C. W. (2012). The nuclear chaperone nucleophosmin escorts an Epstein-Barr Virus nuclear antigen to establish transcriptional cascades for latent infection in human B cells. 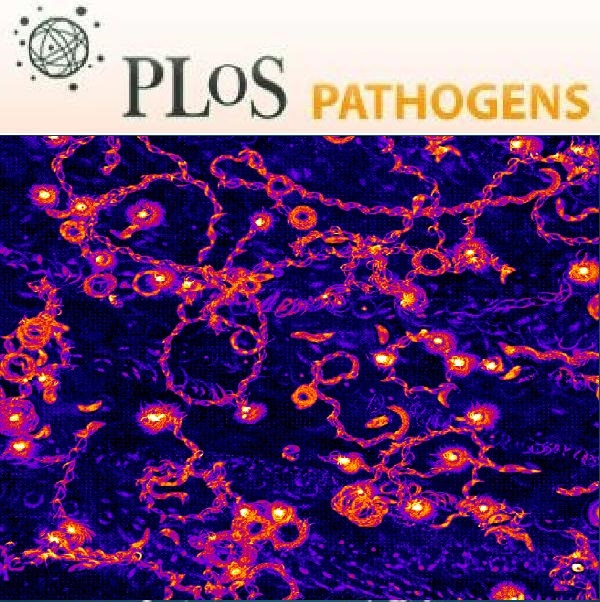 PLoS Pathog 8(12): e1003084. Yang, P. M., Tseng, H. H., Peng, C. W., Chen, W. S. and Chiu, S. J. (2012). Dietary flavonoid fisetin targets caspase-3-deficient human breast cancer MCF-7 cells by induction of caspase-7-associated apoptosis and inhibition of autophagy. Int J Oncol 40(2): 469-478. Chen, Y. L., Tsai, H. L. and Peng, C. W. (2012). EGCG debilitates the persistence of EBV latency by reducing the DNA binding potency of nuclear antigen 1. Biochem Biophys Res Commun 417(3): 1093-1099. Yu, S. H., Yang, P. M., Peng, C. W., Yu, Y. C. and Chiu, S. J. (2011). Securin depletion sensitizes human colon cancer cells to fisetin-induced apoptosis. Cancer Lett 300(1): 96-104. Zhao, B., Zou, J., Wang, H., Johannsen, E., Peng, C. W., Quackenbush, J., Mar, J. C., Morton, C. C., Freedman, M. L., Blacklow, S. C., Aster, J. C., Bernstein, B. E. and Kieff, E. (2011). Epstein-Barr virus exploits intrinsic B-lymphocyte transcription programs to achieve immortal cell growth. Proc Natl Acad Sci U S A 108(36): 14902-14907.